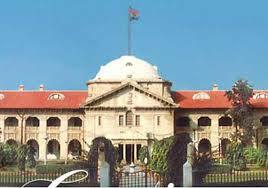 Both the writ petitions have been filed in public interest, seeking a writ of quo-warranto on the ground that the appointments of the third, fourth and fifth respondents as members of the Uttar Pradesh Higher Education Services Commission1 are contrary to the statutory provisions contained in Section 4 (2-a) of the Uttar Pradesh Higher Education Services Commission Act, 19802. All the three respondents have been appointed in pursuance of the provisions of Clause (g) of sub-section (2-a) under which, the State Government is empowered to appoint a person, as a member of the Commission, who in its opinion, is "an eminent person having made valuable contribution in the field of education". The first petition has been filed by the Gorakhpur University Affiliated College Teachers Association and its President. The second writ petition has been filed by Dr K K Sahi, who is an Associate Professor in Law at a Post Graduate Degree College in Deoria. (1) The Commission shall consist of a Chairman and not less than two and not more than six other members to be appointed by the State Government. (e) is in the opinion of the State Government an eminent person having made valuable contribution in the field of education. (g) is in the opinion of the State Government an eminent person having made valuable contribution in the field of education. (3) Every appointment under this section shall take effect from the date on which it is notified by the State Government." When the petition3 was initially taken up for admission on 19 June 2015, the attention of the Court was drawn to the averments contained in paragraph 12 of the first petition to the effect that the third respondent had applied in pursuance of an advertisement which was issued by the Commission for the post of Principal of a Post Graduate Degree College, but he was not selected by the same Commission in which he was then discharging duties as an Officiating Chairperson. While taking note of this averment, the Division Bench noted the submission that the expression "an eminent person having made valuable contribution in the field of education" must have some meaning and whether a person, who has been unsuccessful before the same Commission, could become its Chairperson, was a matter which required to be addressed. The Division Bench, by its order dated 19 June 2015, directed that the State Government through the Principal Secretary, Higher Education, should visit the issue and if it is found that the third respondent had failed in the selection conducted by the Commission, he ought to be removed forthwith. Subsequently, the Division Bench was moved by the State Government for vacating the earlier order. This Court clarified on 10 July 2015, that the ad interim order required the first respondent to visit the issue in regard to the eligibility of the third respondent qua the qualifications prescribed in clause (g) of Section 4 (2-a) and that the Division Bench has not mandated his removal at that stage since, in the first instance, his eligibility was to be visited by the Principal Secretary, Higher Education. The Principal Secretary has reiterated the position of the State Government that the appointment is not contrary to law. On 12 August 2015, this Court issued notice to the third, fourth and fifth respondents and directed the State Government to place a further affidavit clarifying (i) the process which is followed in selecting the members of the Commission and (ii) the number of appointments which have been made since 1 January 2012 in respect of the categories mentioned in clauses (a) to (f) of Section 4 (2-a) of the Act and particularly, number of appointments which have been made in pursuance of clause (g). Counter affidavits have, accordingly, been filed in these proceedings. The third, fourth and fifth respondents have also entered appearance and filed counter affidavits. "That the applications received by the State Government for appointment of Chairman and the Members from the aspirants are examined by the Higher Education Department on the basis of aforesaid provisions of the Commission Act, 1980. The applications of candidates along with their complete bio-data and administrative as well as academic achievements are sent to the highest competent level for approval. After due approval from the highest competent level, orders of the appointment of members are issued." On the second aspect, the State Government has placed a tabulated statement indicating the details in respect of ten appointments made to the office of Chairperson or, as the case may be, members of the Commission since 1 January 2012. The tabulated statement indicates that, save and except for one appointment of the Chairperson and one appointment of a member of the Commission (the Chairperson was stated to be appointed in the category of a member of the Indian Administrative Service and the member in the category of a Principal of a Post Graduate College), all other appointments have been made under clause (g) of sub-section (2-a) of persons who, in the opinion of the State Government, are "eminent persons having made valuable contribution in the field of education". Now, it is in this background that it would be necessary to consider the submissions and the ambit of challenge. Basically, three submissions have been urged on behalf of the petitioners in support of the petition. The first submission is in regard to the total absence of any procedure having been followed in making appointments to the Commission, and hence, it has been submitted that the appointments are violative of Article 14 of the Constitution. In this regard, it has been submitted that from the counter affidavit which has been filed in response to the notice issued by the Court, it is evident that appointments are made to the Commission as and when a bio-data is received from an interested candidate seeking to be appointed as member without following any transparent or objective process of selection. In such a situation, it has been urged that the selection, which is without the issuance of an advertisement or notification, suffers from a lack of transparency and objectivity and is, hence, ultra vires. The second submission which has been urged, relates to the interpretation which is to be placed on the provisions of clause (g) of sub-section (2-a) of Section 4. It has been urged that clauses (d), (e) and (f) govern appointments of teachers as members of the Commission. Clause (d) contemplates the appointment of a Professor in any University, clause (e) of a person who is a Principal of a Post Graduate College for not less than five years and clause (f) of a Principal of a Degree College for a period of not less than ten years. In Degree Colleges, persons are designated as Principal, Assistant Professor or, as the case may be, Associate Professor and there is no post of Professor. Clause (g) which was added to sub-section (2-a) in 2004 enables the State Government to appoint somebody who, in its opinion, is an eminent person having made a valuable contribution in the field of education. The submission is that a person, in order to fall within the purview of clause (g), must not be merely a teacher but has to be a person of eminence with a valuable contribution in the field of education. The requirements for the appointment of a Professor or a Principal have been specified by the University Grants Commission in a notification dated 30 June 2010 by which regulations were notified. A person in order to be eligible for appointment as a Principal has to render service of fifteen years as an Associate Professor. An Associate Professor has to have a minimum of eight years teaching experience as an Assistant Professor. To be a Professor a person must have a minimum of ten years of teaching experience in a University or College. Hence, it has been urged that while the legislature contemplated the appointment of a person who, in the opinion of the State, is an eminent person with a valuable contribution in the field of education, such an appointment must fulfil both the aforesaid conditions, namely, of eminence and of a valuable contribution in the field of education. Otherwise, it has been submitted that as the facts of the present case would demonstrate, persons who do not fulfil the requirement of being either a Professor in a University or a Principal of a Degree or Post Graduate College with the requisite experience of teaching, would be brought in through the back door by taking recourse to the provisions of clause (g). This, it was urged, would be impermissible. In consequence most of the appointments being made by Government in the past are under clause (g) of persons who would not be able to fulfil the norms prescribed in clauses (d), (e) or (f) and have no eminence or valuable contribution in the field of education. Thirdly, it has been submitted that the material, which has been disclosed in the counter affidavit filed by the State, would indicate that neither of the three respondents, i.e. the third, fourth and fifth respondents, fulfils the requirement of being an eminent person having made a valuable contribution in the field of education. The State Government, as the counter affidavit would indicate, relied on the bio-datas which were received. Ex facie the bio-datas annexed to the counter affidavit would indicate that the requirement of clause (g) of Section 4 (2-a) has not been fulfilled, and the appointments are contrary to the statutory provision. (vi) No person who is a Vice Chancellor or Professor may be willing to accept appointment as a member of the Commission. The expressions "eminence" and "valuable contribution in the field of education" have to be read in the context of the work of the Commission since persons truly of such a stature will not be willing to accept office of a Member of the Commission. "...When a writ of quo warranto is filed, it is the obligation of the relator to satisfy the Court that the office in question is a public office and is held by the usurper without the legal authority. It is the duty of the Court to see whether the appointment has been made contrary to the statutory rules. The issue of institutional integrity has also to be taken into consideration when a post is filled up and that is where the manner in which the appointment came to be made or whether the procedure adopted was fair, just and reasonable are required to be seen..."
The second aspect of "institutional integrity" is of significant importance in contemporary times. Article 14 of the Constitution requires procedures under law to be fair, just and reasonable and procedures in regard to appointments to public offices cannot be an exception. Transparency in matters of public appointment and good governance are structural issues which are of the highest concern and, as the doctrine associated with Article 14 evolves, it has become necessary to emphasize that the power of making appointments to public offices has to be wielded and exercised in a manner consistent with public interest. The object is not only to ensure that persons with appropriate qualifications hold the post but also that the process itself engenders public faith and confidence. Equality in matters of appointment to public offices postulates that the process leading up to the appointment must be fair and reasonable. Persons who are eligible and qualified must have an equal opportunity to be considered for appointment. Otherwise, there is a real danger, as the present case itself demonstrates, of the process of filling up important posts in statutory Commissions, becoming an avenue for conferment of political largesse. Such a state of affairs cannot be allowed to pass in a society which is founded on the rule of law. The Act was enacted by the state legislature to establish a Service Commission for the selection of teachers for appointment to colleges affiliated to or recognized by a University. The Statement of Objects and Reasons accompanying the introduction of the Bill provides that the setting up of such a Commission for the selection of teachers to institutions of higher learning was under consideration of the State Government for sometime and recommendations in that direction were also made in the Vice-Chancellor's Conference in 1975. The University Grants Commission expressed the view that in the first instance the proposed Commission should be confined only to the selection of teachers in affiliated and associated colleges. Under the existing procedure, every college governed by the Uttar Pradesh State Universities Act, 19737 had its own Selection Committee with certain nominees of the Vice Chancellor. It was brought to the notice of the State Government that there were complaints of favouritism in the selection of candidates and that the process involved in the work of Selection Committees was expensive. It was in this background that the Act was enacted. The Act was intended to subdue an evil. The interpretation of the Act must be purposive: it must facilitate the attainment of the object of the law. (h) to perform such other duties and exercise such other powers as may be prescribed or as may be incidental or conducive to the discharge of the above functions." Section 12 provides that every appointment as a teacher of any college shall be made by the Management in accordance with the provisions of the Act. Any appointment made in contravention of this provision is void. Under the provisions of sub-section (2) of Section 12, the Management is liable to intimate existing and likely vacancies to the Director who, in turn, is to notify them to the Commission under sub-section (3). Section 13 requires the Commission, upon a notification of vacancies, to hold a written examination and interview and to send to the Director a list recommending the names of candidates found suitable. Section 14 casts a duty on the Management to make the appointment within a period of one month from the date of receipt of the intimation. These provisions which have been made by the state legislature emphasise the importance ascribed to the functions which are entrusted to the Commission to make appointments to the posts of teachers in affiliated or associated Colleges. Since the expression 'teacher' is not defined in the provisions of the Act, the definition contained in the Act of 1973 shall govern by virtue of the provisions of Section 2 (g). Under the Act of 1973, the expression 'teacher' is defined under Section 2 (19) to mean inter alia "a person employed in a University or in an institute or in a constituent or affiliated or associated college of a University for imparting instructions or guiding or conducting research in any subject or course and to include a Principal or Director". When the petition came up for hearing, it appeared to the Court on the basis of the material which has emerged, that it was necessary for the Court to be apprised of (i) the process which was followed in selecting members of the Commission; and (ii) the number of appointments which have been made since 1 January 2012 in respect of the categories mentioned in clauses (a) to (f) of Section 4 (2-a) on the one hand and under clause (g) on the other. An order was passed on 12 August 2015 for the Court to be apprised on this. The counter affidavit which has been filed in these proceedings by the Directorate of Higher Education in pursuance of the order of this Court, indicates the modalities followed by the State Government in making appointments to the Commission. What the counter affidavit states, is that applications which are received by the State Government for appointment as Chairperson and as member of the Commission are examined by the Higher Education Department "from the aspirants" in terms of the provisions of the Act. These applications together with bio-datas and administrative as well as academic achievements are sent to the "higher competent level" for approval. After due approval from the "higher competent level", orders for appointment of members are issued. Bio-datas are evaluated, according to the State, as and when they are received. Admittedly, the State Government has not issued any notification furnishing an intimation that there are vacancies in the Commission or that it intends to fill up one or most posts of member in the Commission. Any application which is received by the State Government for appointment is examined by the Higher Education Department from among the aspirants. This indicates that only persons, who are in knowledge of the fact that there is a vacancy in the office of the Commission, can apply and it is these applications alone which are considered by the State Government. Under Section 4 (1) the Commission is to have a Chairperson and not less than two and not more than six members. There is no intimation or information of how many persons the State Government intends to appoint as members. No effort whatsoever is made to follow a transparent or objective process by which due publicity is given to the fact that the State Government is in the process of filling up vacancies in the Commission. The procedure, which has been followed by the State, does not inspire public confidence and is liable to result in a situation where nepotism and patronage have precedence over academic standing and credentials in making appointments to the Commission. Evidently, persons who are in knowledge of the fact that there is a vacancy in the Commission, are the only persons who apply. Such information would not be available to those in the teaching community or even otherwise to the community from whom the eligible are drawn. Persons who fulfil the norms of eligibility under clauses (a), (b) and (c) and teachers fulfilling them under clauses (d), (e) and (f) would have no knowledge of the existence of a vacancy which is not notified, or of the existence of which information is not widely disseminated. The legislature in its wisdom has contemplated eligibility for membership of the Commission of persons from diverse backgrounds. Clause (a) brings in experience in the law, at a senior level of a District Judge, clause (b) of the experience of administration as a Secretary level IAS officer, clause (c) as a Vice Chancellor and clauses (d), (e) and (f) cover Professors and Principals of Post Graduate and Degree Colleges with a certain experience. Unless the likelihood or existence of a vacancy is notified, eligible persons would not have the opportunity to apply for appointment. Instead, the process is shrouded in secrecy and appointments are made from among those who know of a vacancy and of the fact that the State Government would be filling up the vacancy. This aspect must, in our view, be of primary emphasis because the Supreme Court has repeatedly, in recent decisions, emphasised the need to maintain institutional integrity in filling up important public posts under the control of the State Government. Statutory Commissions, such as the one in the present case, are conceived in public interest and discharge public functions. Their membership cannot be regarded as an instrument of conferring largesse on a chosen few. The Commission, in the present case, has been set up with a statutory objective of ensuring transparency in the process of making appointments of teachers to constituent and affiliated colleges. No appointment of a teacher in any constituent or affiliated college can be made, save and except through the auspices of the Commission. The Commission has a vital role to play in ensuring that right persons are selected for appointment as teachers in colleges. These teachers ultimately will guide the destiny of a generation which has to receive education in diverse colleges across the State. If the persons, who have to make these appointments of teachers in constituent and affiliated colleges, are chosen through a process which is not transparent, objective and fair, the Commission cannot be expected to perform its function with objectivity and fairness. Such back door appointments of persons, who have access to the State Government; without a proper evaluation of credentials of competent persons drawn from diverse sources prescribed in Section 4 (2-a); in the absence of a transparent and objective procedure for notification of vacancies, short listing and consideration of prospective candidates results in a negation of the very object for which the Commission was set up. Now, it is in this background that it would be necessary to advert to the provisions of clause (2-a) of Section 4. Clause (2-a) envisages that in order to be eligible for appointment as a member of the Commission, a person must fulfil the requirement of eligibility specified in one of its clauses, namely, clauses (a) to (g). Under clause (a), a person who is or has been a member of the Uttar Pradesh Higher Judicial Service who has held the post of District Judge or any other post equivalent thereto is eligible. Clause (b) covers a person who is or has been a member of the Indian Administrative Service who has held the post of a Secretary to the State Government or any other post under the State Government equivalent thereto. The legislature has clearly emphasised that being part of the cadre of the Uttar Pradesh Higher Judicial Service or the Indian Administrative Service is not sufficient, but a person who is to be selected must have held a sufficiently senior position either as a District Judge (in the HJS) or, as the case may be, a Secretary (in the IAS). Clause (c) provides for a person who is or has been a Vice Chancellor of any University. Clauses (d), (e) and (f) basically relate to teachers as defined in Section 2 (19) of the Act of 1973. Clause (d) covers a person who is or has been a Professor in any University. Clause (e) covers a person who is or has been a Principal of a Post Graduate College for a period of not less than five years. Clause (f) covers individuals who are or have been Principals of Degree Colleges for a period of not less than ten years. Evidently, in clause (d), the state legislature considered it appropriate and proper to fix the eligibility norm at the level of a Professor and not below that rank. The legislature did not contemplate that a person who is an Associate Professor or an Assistant Professor should be eligible. Similarly, in clauses (e) and (f), the applicant must be a Principal of a Post Graduate College with five years' experience or of a degree College, with at least ten years' experiences. The mere holding of the post of Principal in a degree or post graduate college is not sufficient: the person has to have held the post for a stipulated number of years. Under the Regulations which have been framed by the University Grants Commission on 30 June 2010, the requirements for holding the post of Professor, Principal or, as the case may be, Associate Professor have been specified. Under clause 4.1.0 of the Regulations, a Professor must have a minimum of ten years of teaching experience in a University/College and/or experience in research at University/National Level Institutions/Industries including experience of guiding candidates for research at the doctoral level. A Principal under clause 4.2.0 is required to possess at least fifteen years of experience as an Associate Professor or, as the case may be, Assistant Professor. Under clause 4.3.0, an Associate Professor must have a minimum of eight years experience as an Assistant Professor. When the state legislature specified in Section 4 (2-a) (d) the eligibility of a Professor to be appointed to the Commission, it must have a stated purpose; otherwise a provision would have been made for the appointment of a person lower in rank than a Professor, such as an Associate or Assistant Professor. This has not been done. Similarly, in the case of a Principal, the legislature has considered it fit to impose a requirement of experience of not less than five years as a Principal of a Post Graduate Degree College and not less than ten years as a Principal of a Degree College. All these requirements have a specified meaning. It would be wholly destructive of the letter and the spirit of the Act to allow a brazen disregard of the eligibility conditions specified in clauses (a) to (f) by permitting the Government to justify the appointment of persons who do not fulfil the eligibility conditions for teachers in clauses (d), (e) and (f) under the provisions of clause (g). Clause (g) is not in the nature of an omnibus residuary provision. Nor is it an apparel with a "one size fits all" tag. Now, it is in this background that it would be necessary to interpret clause (g) of sub-section (2-a) of Section 4. Clause (g) postulates the fulfilment of two conditions for the formation of opinion by the Government. The first condition is that a candidate must, in the opinion of the State, be an eminent person. The second requirement is that the candidate must have made a valuable contribution in the field of education. The first criterion is a criterion of eminence. The expression 'eminence' has not been defined by the state legislature and must, therefore, bear its ordinary connotation and meaning. The expression 'eminence' has been defined in the Shorter Oxford English Dictionary to mean "distinguished in character or attainments". The Random House Dictionary of the English language defines the expression 'eminent' to mean "high in station, rank, or repute; distinguished". Webster's New Twentieth Century Dictionary of the English language defines the expression 'eminent' to mean "standing high by comparison with others; renowned; exalted; distinguished". The meaning which is ascribed to the expression 'eminent' in these dictionaries bears a common sense understanding of the expression. The second requirement which is equally significant is that the person should have made a valuable contribution, not just a contribution, and that it should be in the field of education. The formation of the opinion by the State Government must be on the basis of objective material. Clause (g) of sub-section (2-a) cannot, in other words, be utilized as a catch-all remedy to bring in persons who are not otherwise eligible under clauses (d), (e) and (f). We do notice that it may well be that a person who does not fall in one of the categories spelt out in clauses (a) to (f), may, nonetheless, be in the opinion of the State Government an eminent person with a valuable contribution in the field of education. Such an opinion must be founded on material and will not rest upon a subjective view unsubstantiated by demonstrable credentials. The point to note is that in the guise of making an appointment under clause (g), the State Government cannot obviate observance of the eligibility requirements which are specified in clauses (d), (e) and (f). Otherwise, it would be a very negation of the object and purpose of the statute. As the tabulated statement placed before the Court indicates, since 1 January 2012, appointments as members have been predominantly made by taking recourse to the provisions of clause (g). Persons who are not Professors or Principals fulfilling the requirement of clauses (d), (e) or (f) are sought to be appointed by taking recourse to the provisions of clause (g). Now, it is in the background of these interpretative principles that we would turn to the facts in the counter affidavits, which have been filed by the State and the respondents. A tabulated statement has been placed on the record indicating the appointments which have been made since 1 January 2012. The tabulated statement indicates that out of ten appointments, as many as eight have been made by exercising the power under clause (g) of sub-section (2-a) of Section 4 for making appointments of members and the corresponding provisions of clause (e) of sub-section (2) of Section 4 in regard to the appointment of a Chairperson. Both clauses (e) and (g) cover similar requirements. In the case of the members of the Commission only one appointment, of Dr. Ramendra Babu Chaturvedi was made under clause (e) of sub-section (2-a) of Section 4 of a Principal of a Post Graduate College for a period of not less than five years. Similarly, the tabulated statement indicates that only one appointment of the Chairperson has been made other than under the provisions of clause (e) of sub-section (2-a) of Section 4. The validity of the appointment of the Chairperson has been challenged in a separate writ petition which is pending and hence, on the legality of that appointment, we make no finding in these proceedings. The material which has been placed on the record by the State covers the period from 1 January 2012 and is indicative of the fact that in the absence of any transparent norms governing selections and appointments to the Commission, clause (g) is being resorted to as a residuary category to bring in persons who could not fulfil any of the norms of eligibility specified in the previous clauses. This is indicative of a process which has been anything but fair, reasonable and proper. "Respondent no.3 is Ph.D. in the Geography and had secured third position in the entire University and first position in Saint Johns College, Agra, from where he was studying M.A. class and has to his credit 37 years of teaching and administrative experience, out of which he has been Associate Professor for 25 years. Respondent no.3 has also been a Member of the U. P. Higher Education Service Commission for two years from 29.09.2005 to 28.09.2007 and is, at present, functioning as Senior Member with effect from 14.12.2013. Besides the above, he has other administrative experiences, which are enumerated in the bio-data." "Respondent no.4 has been throughout four first class and was also awarded gold medal in M.A. Geography by Dr Ram Manohar Lohiya Avadh University, Faizabad. He has also done his Ph.D. from Faizabad University. He was appointed as Lecturer in Government Degree College, Las Down Jaharikhal, District Paudi Garhwal on 4th May, 1993 and he worked as such till 1st July, 1997. From 2nd July 1997 till May, 1999, respondent no.4 worked as Lecturer in Dr. Ambedkar Government Post Graduate College, Unchahar, Raebareilly and from May, 1990 to November 2004 he worked as Senior Lecturer in the same College. From November, 2004 to November, 2007 respondent no.4 worked as Reader, Geography Department in Dr. Ambedkar Government Post Graduate College, Unchahar, Raebareilly and has also worked as Associate Professor from November, 2007 till his joining as Member of the U.P. Higher Education Services Commission." "Respondent no.5 has also done his Ph.D. in English and D. Lit. is going on. Respondent no.5 has joined his service as Assistant Professor on 14.11.1988 and worked as such till 30.04.1996 in Thakur Biri Singh Post Graduate College, Tundla (Firozabad) as Head of English Department. From 1st May, 1996 to 6th November, 2006 he worked as Associate Professor in R.B.S. College, Agra in the English Department. He was also a Member of the Secondary Education Services Selection Board, U.P. Allahabad from 07.11.2006 to 06.11.2008 and from 07.11.2008 to 20.04.2011 he worked as Associate Professor in R.B.S. College, Agra in English Department. From 21.04.2011 to 27.08.2014, respondent no.5 has worked as Principal, Laxmi Yadunandan Post Graduate College, Kayamganj, Farrukhabad and from 28.08.2014, he is functioning as Member of the U.P. Higher Education Services Commission, Allahabad." The third, fourth and fifth respondents hold Doctoral degrees. The issue is whether ex facie the bio-datas of the candidates, which are relied upon by the State, indicate that they are, in the opinion of the State, eminent persons having made a valuable contribution in the field of education. The third respondent held the post of an Associate Professor in a Post Graduate College between 29 September 2007 to 13 December 2013. As an Associate Professor, the third respondent does not meet the eligibility condition under clause (d) of sub-section (2-a) of Section 4, which is of being a Professor. The only credentials which are specified in the bio-data, which is annexed to the counter affidavit, are that the third respondent has been a Proctor, Centre Superintendent, Convenor of the Admission's Committee, Incharge of Adult Education, Games Superintendent, Member of Board of Studies and Examiner for Ph.D. dissertations. Ex facie, these are not indicia of a person who can be referred to as an eminent person having made a valuable contribution in the field of education. The third respondent may have experience as a teacher, but the requirement under clause (g) is not of appointing an experienced teacher as a member of the Commission, but of appointing an eminent person who has made a valuable contribution in the field of education. The appointment is ultra vires the statutory provision. 3- MkW0 vEcsMdj vyadj.k lEeku] xkSre cq} iap'khy 'kks/k lkfgR; laLd`r laLFkku y[kum ls ;'kiky lEeku &25 tqykbZ 2006 dks izkIr gqvkA"
No reasonable body of persons could possibly come to the conclusion that the candidate is an eminent person having made a valuable contribution in the field of education. The fourth respondent is stated to have experience of twenty eight years in the teaching profession. Here again, there was absolutely no material before the State to indicate that the candidate fulfilled the requirement of being an eminent person having made a valuable contribution in the field of education. The appointment is ultra vires. The fifth respondent was an Assistant Professor and then an Associate Professor before taking over the office of Principal from 21 April 2011 to 27 August 2014 in a Degree College. The post of an Associate Professor does not render the candidate eligible under clause (d) of sub-section (2-a) of Section 4. The holding of a post of Principal for three years in a Degree College does not make him eligible under clause (f) where the minimum experience required is five years. Among the attainments of the candidate, it has been stated that he had guided eighteen doctoral students and three students are under his supervision. The fifth respondent has been previously a Manager of an Intermediate College and an In-charge Principal of a Degree College in 1990-91, besides, being a member of the Secondary Education Services Selection Board. The bio-data of the fifth respondent, as in the manner of the third and the fourth respondents, indicates, at the highest, that the candidate is a teacher with experience. That, however, clearly does not fulfil the requirement of eminence and of having made a valuable contribution in the field of education under clause (g) of sub-section (2-a) of Section 4. There was no material before the State Government to form such an opinion. All these appointments are contrary to the statutory provision. This, we emphasise, is not a question of suitability but a failure to fulfil statutory conditions of eligibility. The basic infirmity in the modalities which have been adopted by the State is of not having followed any transparent or objective procedure in making appointments to the Commission. In Ram Tawakya Singh v. State of Bihar8, the Supreme Court, while considering the provisions of the Patna University Act, emphasised that Article 14 of the Constitution which mandates that every action of the State must be fair and transparent has to be read in the language of those provisions in which event, the Chancellor has to follow some mechanism whereby he can prepare a panel by considering persons of eminence in the field of education, integrity, high moral standard and character. In the present case, the State Government has not published or notified vacancies in the Commission. Nor has it notified at any stage that it was in the process of filling up vacancies in the office of members of the Commission. As a result, persons who are otherwise eligible and fulfil the requirements of eligibility under clauses (a) to (g), had no opportunity to be considered for appointment to the Commission. Secondly, the State Government did not prepare a panel of short listed candidates from which the ultimate selection could be made. Instead, what has been done, is that applications and bio-datas from aspirants which were received were scrutinized and after having them vetted in the Higher Education Department, were approved at the "highest competent level". The norms on the basis of which the applications were scrutinized have not been specified. There has been no competitive evaluation of the merits of various candidates. As they came and applied, so were they inducted as members. The modalities which the State has adopted are arbitrary and violative of Article 14 of the Constitution. We are conscious of the fact that when an appointment has to be made of an eminent person with a valuable contribution in the field of education, a person who truly fulfils the requirement may not apply for such a position. A truly eminent person will not deign to be a supplicant for favours. In order to consider the appointment of a person who genuinely fulfils the description of clause (g) of sub-section (2-a) of Section 4, the least that can be expected is that the State Government should constitute a Search Committee consisting of persons with an objective track record, which would scrutinize the credentials, standing and integrity of candidates under consideration. In the entire process which has been followed by the State Government, one factor which is absent is any consideration of the integrity of the candidate. The Commission plays an important role in the appointment of teachers. Candidates who are appointed as members of the Commission must possess impeccable credentials and a proven record of integrity. In the absence of any application of mind to these aspects, the process has been entirely flawed. The Advocate General urged that Vice Chancellors and Professors may not be willing to come forth and serve as members. The point is that there is no fair way that such an assumption can be made a priori, when the Government did not set in motion a process that would consider the merits of prospective candidates. The stage of formulation involves agenda setting and laying down procedures antecedent to decision making. This has to be laid down in a manner which is consistent with the governing statutory provision. The stage of formulation would among other things cover the manner in which vacancies would be notified so as to be brought to the knowledge of the field of eligible candidates under the statute. It must involve the constitution of a Committee or team - consistent with the statute - for processing the nominations or applications received. The stage of formulation may involve the constitution of a Search Committee which can tap the best candidates. The stage of formulation also involves setting down procedures which will be followed and time - lines. The second stage involving opportunity enables interested and eligible persons to respond to the notification so that candidatures across a broad spectrum of sources indicated in the statute are considered. If a Search Committee has been constituted, the Committee will facilitate the process of identifying prospective candidates. Personnel forming part of the Search Committee must possess knowledge, administrative experience and domain expertise. Members of the selection panel or Search Committee must be subject to rules of exclusion on the ground of bias and conflict of interest. The third stage of decision making involves the assessment of candidatures on the basis of applicable statutory norms. Where appropriate, a procedure of short listing may be envisaged where the number of candidates is large. The final stage is the stage of selection. Decision making must be based on eligibility and suitability as defined by the statute. There must be documentation of the process at each stage. The material on the basis of which the decision is arrived at must show an application of mind to the credentials, competence and integrity of candidates. We have indicated the broad parameters and guidelines. The underlying principle is that institutional processes must be well defined, publicised and fair. That will at least in some measure ensure a movement to a system where competence and merit prevail over patronage, transparency prevails over secrecy and the prevailing culture of cynism is replaced by accountable and responsive governance which promotes public confidence in our institutions. "50. ...besides express restrictions in a statute or the Constitution, there can be implied restrictions in a statute and the Constitution and the statutory or the constitutional authority cannot in breach of such implied restrictions exercise its discretionary power. Moreover, Article 226 of the Constitution vests in the High Court the power to issue to any person or authority, including in appropriate cases, any Government, within those territories, directions, orders or writs, including writs in the nature of habeas corpus, mandamus, prohibition, quo warranto and certiorari, or any of them, for the enforcement of any of the rights conferred by Part III and for any other purpose. The power of the High Court under Article 226 of the Constitution is, thus, not confined to only writ of quo warranto but to other directions, orders or writs." As we have held, the appointments, which have been made by the State Government in the present case of the third, fourth and fifth respondents, are flawed both for the absence of any fair and transparent procedure as well as on the ground that they failed to fulfil the requirement of clause (g) of sub-section (2-a) of Section 4. Before concluding, we may note that in the counter affidavit filed by the State, the locus of the President of the Gorakhpur Affiliated College Teachers' Association (the second petitioner in PIL No.35375 of 2015) has been questioned. However, at the hearing, this objection has not been advanced by the Advocate General. Moreover, no objection to the locus of the petitioner in the second writ petition (PIL No.38658 of 2015) has been urged during the course of submissions. For these reasons, we have come to the conclusion that the petitions would have to be allowed. We, accordingly, allow the petitions by issuing a writ of quo warranto, holding that the appointments of the third, fourth and fifth respondents as members of the Uttar Pradesh Higher Education Services Commission are illegal. The appointments are, accordingly, quashed. However, we clarify that this judgment will not of itself invalidate recommendations made by the Commission prior to the date of this judgment. The legality of recommendations and appointments made in the meantime, on any independent ground will be adjudicated upon in the event of a substantive challenge made in appropriate proceedings. In consequence, we direct the State Government to complete the process of reconstituting the Commission consequent upon the setting aside of the appointments of the third, fourth and fifth respondents, after laying down appropriate norms consistent with the statute and by following a process which is objective, fair and reasonable, in accordance with the mandate of Article 14 of the Constitution. The petitions shall stand disposed of in the aforesaid terms. There shall be no order as to costs.